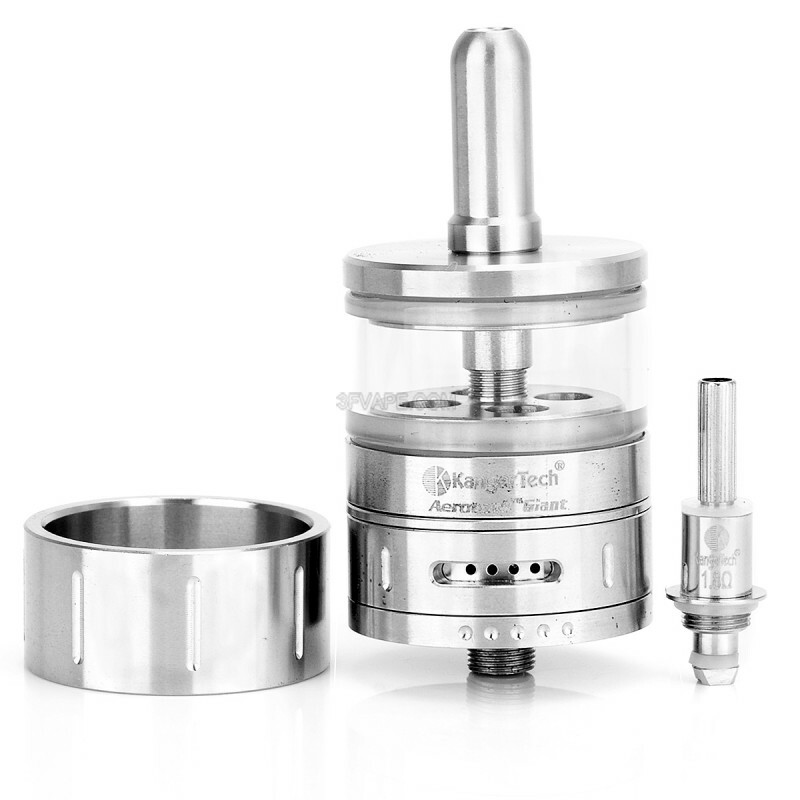 The Kanger Aerotank Giant offers the same great features and performance as the Kanger Aerotank but with a redesigned airflow valve. Turn the dial on the base to increase or decrease airflow to your preference. It also comes with a stainless steel replacement tube if glass isn't your thing. In this version the atomizer heads have also been redesigned with the wicks hidden to further prevent leakage. 3FVape is a professional electronic cigarette retail and wholesale shop. We provide new and cool e-cig products at affordable price. All products will be shipped from China now. If you find a product to be authentic, then it is not a clone. For any question about product title Authentic Kanger Aerotank Giant 510 BDC Clearomizer Kit - Silver + Translucent, Stainless Steel + Glass, 4.5mL, 1.8 Ohm, please contact us. We also encourage you to leave review of e-cig products on 3FVape.